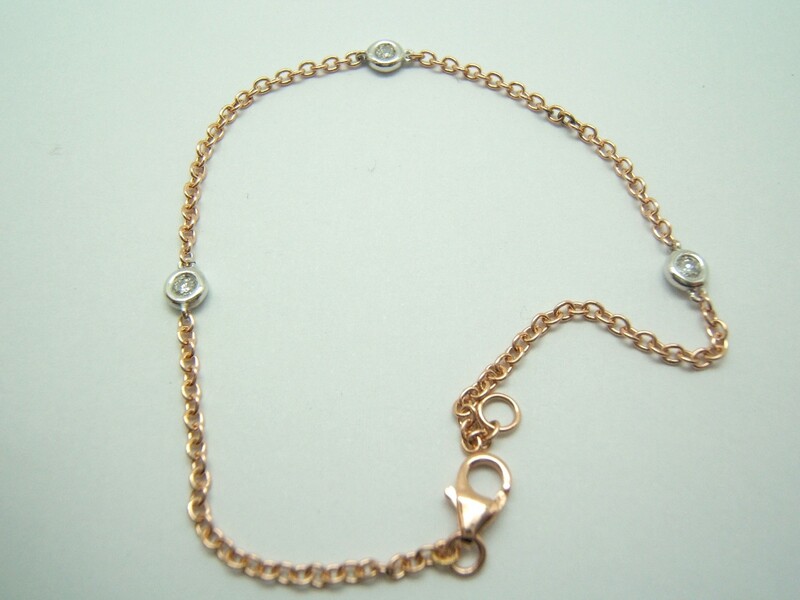 Bracelet made of red Gold and three charms in white Gold, law of 750/000 with a diamond each. Quality and weight of diamonds: 0.09 carats total weight, quality: color H and purity Si. The closing is a carabiner.